these are teams I am either still working on or are only useful in limited situations. vs. Super Giant: You cannot defeat the shield with this team unless yu are very good with Bullseye or have amazing physical strikers, just switch to GG for his immunity. vs. ThanosI have not checked this yet, but if his dispel hits both her shield and 6 star burst, this will be difficult. Very solid team and one I used to rely on for wins each week. I still rely on them for Black Dwarf days as they can clean house there. Usually it is Sister Grimm who does everything. Clones, then pick your spots with her other skills. vs. Black Dwarf: this is the easiest one to win. Getting through his first two stages is no problem. When he gets to his third it can be tricky as he will desroy the clones quick but if you are careful and have not neglected singularity(especially her uber damaging 6 star skill) you should be fine. This is the other reliable Black Dwarf cleaner. 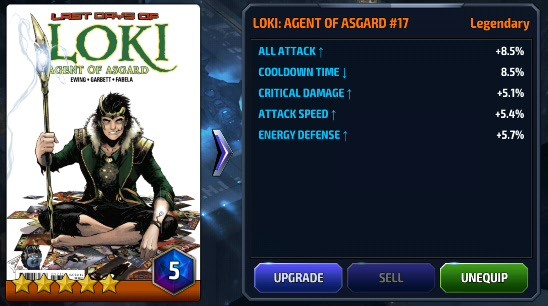 When I want to beat him as often as possible without using t2 or Black Order charaacters, this is my go to. 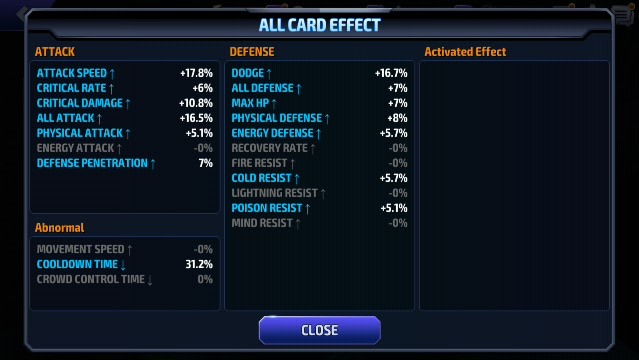 it is all, WW buff, Daisy buff, then Iron Fist 5 and 6 star skills from as up close as possible. 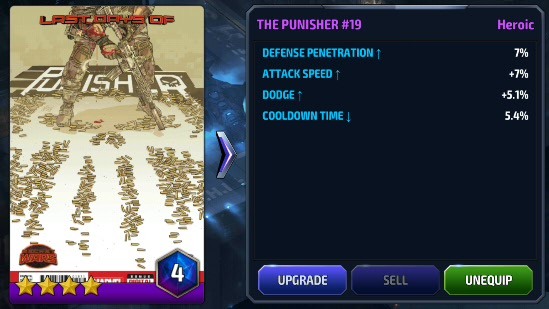 Iron Fist's high Dodge stat will allow him to ignore the most of incoming punishment, but if you are unlucky, you will be crushed. My worst luck ever required me to fight with this team 3 times before I got the win. I may start playing around with other characters next week, especially if I have a request for a character, I might build them up and see what I can do. 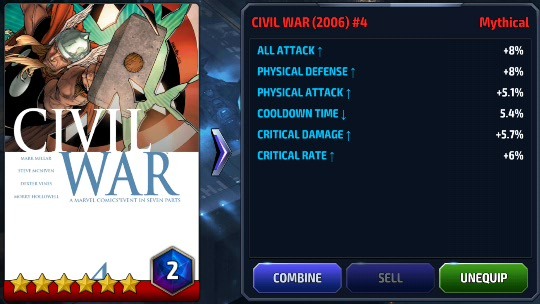 Possible alternative: Swap Hyperion for Spider-man for extra crit damage, dodge and attack speed, swap Hyperiod for lash for extra all attack and crit rate, Hyperion for black panther to get all attack and max hp. I usually dont do this as Hyperion is a useful oh crap button if you get in trouble. 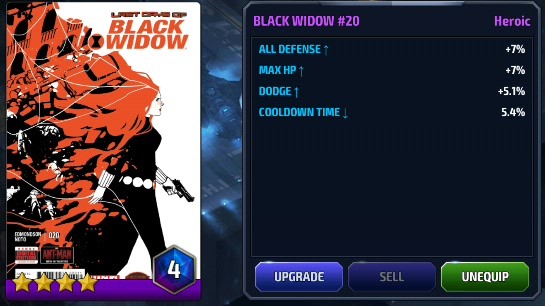 Hyperion and Black Bolt are only there because of team up bonuses, there may be better ones, and you could always throw ronin in as team lead, but Corvus' cooldown reduction leadership skill is my favorite. The overall strategy is always the same. Hit your 6 star skill to get immunity so you can send in the clones. Then alternate between 6 star and wave attack for more consistant damae, possibly throwing in his jab attack if you know the bosses attack patterns and are safe to do so. vs. Proxima Midnight: spousal abuse. No difference to main attack plan. Usually your minions will get caught in the lightning stun leaving you free to attack. vs. Corvus Glaive: mirror battle, no worries, hardest part is knowing which craters are yours and thus safe, and which are not. vs. Thanos: the hardest part about this battle is getting your clones out and then far enough away so that Thanos' dispel hits them (which does nothing to them) instead of you. 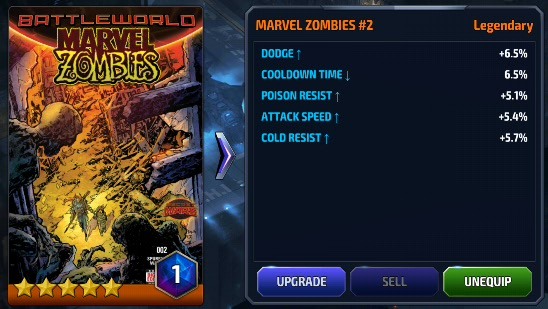 possible swaps: on Corvus/Thanos days I will swap Proxie in as leader, and sub Captain America in for War Wolf to really abuse the ignore dodge that Proxie's leadership gives. This is my team overkill. There are plenty of other people who could use the WW/Daisy combo, but I like having one team just be complete overkill and Proxie is usually the person for that. Activate WW six star, swap to Daisy (costume is a must) use her buff, then swap to Proxie and watch the world burn. I have had bosses that a single rotation of this kills them completely. If not you can either decide to keep it up with Proxie, or swap to Daisy, wait for proxie to be ready again then buff and swap. If it is against a particularly high damage boss, swap to WW, then when proxie is ready Daisy then roxie and repeat. Very few bosses can survive this onslaught twice. Mostly you use Proxie's 5 and 6 star but can use the two other throw attacks in order to get some distance. vs. Super Giant: Just be careful when she puts up her energy shield, you will probably not be able to break it, just swap to someone expendable in case your timing is poor and kill away. vs. Thanos: as you can see, WW is useless here, his buff just does not work. 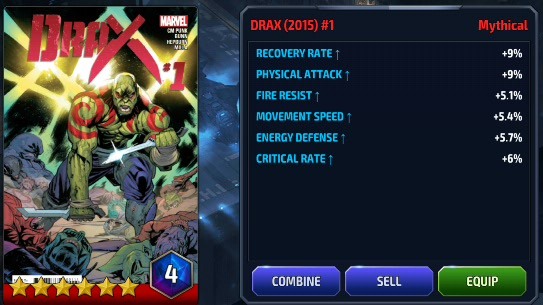 If you ahve very high crit rate and damage you might consider keeping him in due to Thanos having high health therefore the leadership skill will be useful for awhile. be careful with your daisy buff as Thanos will strip it. a maxed out Carnage is still a dangerous thing against many, many World Bosses, not all, but most. vs Corvus Glaive: This is a dangerous team to chose, due to Corvus' proclivity to sitting in his own craters, meaning Carnage will be taking consistant damage when he attacks, but it is doable, mostly do to healing globes. The other danger is that Corvus summons minions who will step on your healing globes and take them away from you. v. Super Giant: As normal, unless you get particularly unlucky with fear into standing in lasers, you should be fine, He seems to be immune to fear when he is using his 6 and 3 star attacks, but I could be wrong and have just gotten lucky with timing. vs. Ebony Maw: I do not recommend this team here. Most of Carnage's Attacks have long animations, which will lead Ebony to iframe and many missed attacks. Also, his minions will cause you to waste some of your attacks on them, plus will eat up your healing globes. vs. Black Dwarf: This is primarily a physical team and BD is resistant to physical, not a team up I often use here. Cards / Re: My current card sets. Cards / My current card sets.